In the world of travel, the people we owe the most gratitude to are those of service such as the concierges. Have you ever wondered what their life of must be like, day in and day out, always helping others? 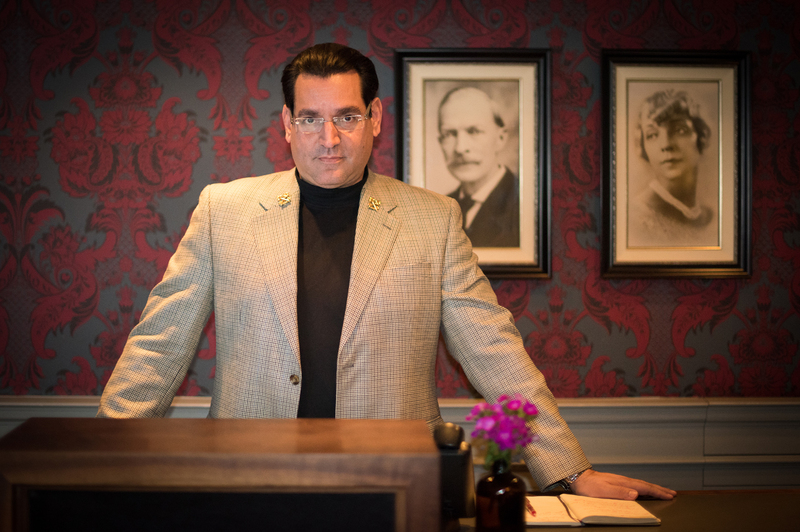 We touched base with one of the best concierges in Austin, Texas who recently switched from the Driskill Hotel to Hotel Ella to discover what inspires and fulfills this man of service. How did you first decide you wanted to pursue a life of service? I fell into it accidentally. One of our concierges was leaving the hotel I was working in, and my manager asked me if I wanted the position. I didn’t know what a concierge did, but after about a month I was hooked and felt it was the best job in the hotel. What do you enjoy most about your day-to-day work as a concierge? All of the different questions I get from one guest to the next and meeting new, interesting people who are from local and faraway places. It certainly isn’t dull. Who or what inspires you? The daily challenge of the job and questions inspire me. When a guest comes to me and thanks me for making their visit a success, that’s much better than any tip I can receive. What dream destination would you love to work at if you could choose any place in the world? Costa Rica… beautiful, quiet and very nice people. Has your career taken you on any unforeseen adventures? I’ve been a concierge in Washington DC, Virginia, Philadelphia and Texas. I’ve loved living in each place, and I think of that as an adventure. Learning about new cities, places, cultures and people. What has been the most challenging aspect about your job? Keeping up with change in an ever-evolving city, especially here in Austin where we keep getting mentioned on every list from “Best Places For Singles” to “Top 4 Foodie Cities” in the country. If you weren’t working in this capacity, what other career path would you see yourself in? I was a flight attendant for 4 years in between hotels, so I’d like to go back to that for the travel aspect. I learned a lot and travelled to over 60 countries. My passion is for my dog, Linus, as well as travel. Life is about experience for me. What are the top three activity recommendations you have for patrons looking for an authentic experience Austin? The Capital tour, Midnight Cowboy and our locally owned restaurants. You can’t get any of these in another city like Austin! What are the top two things a concierge cannot do without? We MUST be detailed orientated and resourceful. We rely on all of our contacts. We have to know where to turn to get the answers needed. Working with a great team doesn’t hurt either, but at the end of the day, it all comes down to you and your abilities. This career is wonderful, but it isn’t for everyone.